On Monday, a court in China agreed to Qualcomm's request for a preliminary importation and sales ban in the country on older Apple iPhone models. The Fuzhou Intermediate People’s Court found that Apple had infringed on a pair of software patents belonging to Qualcomm. Apple continues to sell the banned models in China, which range from the iPhone 6s to the iPhone X, claiming that the order doesn't apply to those older models if iOS 12 is installed on them. The latest version of Apple's mobile operating system does not contain Qualcomm's software. Apple has filed a request with the court asking it to reconsider the ban on the older phones. A report published today by Reuters states that Qualcomm plans to ask courts in China to extend the ban to Apple's 2018 models. 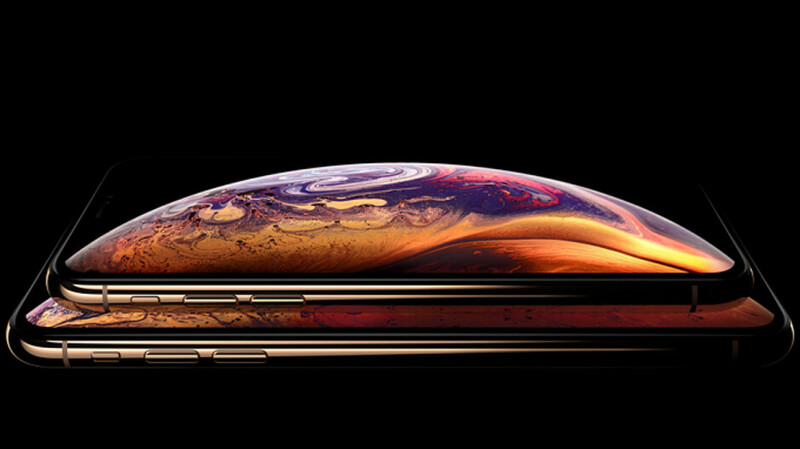 That would include the iPhone XS, iPhone XS Max and iPhone XR; all three come with iOS 12 out of the box, and Apple says that its latest models were not included in the importation and sales ban ordered by the court. Nonetheless, Qualcomm's attorney representing the company in this matter, Jiang Hongyi, says, "We plan to use the same patents to file suit against the three new iPhone models." Reuters also reports that the U.S. International Trade Commission (ITC) will review a previous ruling it made regarding a U.S. import ban on the Apple iPhone. Previously, the ITC said that preventing the importation of the device into the states was not in the public interest even if Apple infringed on a Qualcomm patent. The ruling said that banning the iPhone would negatively impact competition in the modem chip market. The agency did say at the time that Apple had infringed on a single Qualcomm patent. The judge who made the decision not to order a U.S. import ban on the iPhone, Administrative law judge Thomas Pender, has retired and is no longer a member of the tribunal. A decision is expected to be made before February 19th, 2019. That would be a big blow to Apple. The way the Intel modems perform, Apple should do everything it can to get back into Qualcomm's good Grace's, cause the Intel modem is garbage in the iPhones. From slow performance, to disconnects....it's crap. That's what I was thinking. Without the iPhone there are still many different phones available to choose from. But the issue is real. Dude. I dont even know why you keep wasting your time an money on something you know you gonna be disappointed with. I just cant do it. And I'm not gonna lie, I love gadgets. I'm just like Floss. When I open the box, I gotta smell and just touch everything and just feel good about it. And the last iPhone I ever felt good about buying was the 7. The X is surely cool and I like it too, but jts not worth its price. I just cant may myself buy something I already know has far and away to many shortcomings yo justify what it costs. Something you never have to do with Android. The best product to own. Is the one that cost you the least amount of money, to have evsrything... whether you need it or not. I use iOS and Android. I'm not an iOS hater, but apple needs to step it up. As much as I love my Note 9, it too has things that irritate me. 1. Bixby doesn't do system wide text to speech 2. You can't move web pages with a press and hold 3. You can't display pics and vids in more than one folder, unless you make copies of them (taking up more storage). 4. You can't clear notification badges from individual apps anymore There's a few more, but you get the picture. Neither phone is perfect, but the Note 9 is better to me. I will always be an iOS user as well as Android, as I love both platforms. I'm not a fanboy, and have no brand loyalty. If I like it, I buy it. Apple is a pretending innovator wannabe company but a legendary copycat. Lmao. What a shame. When it rains it pours..
Of course they knowingly infringed upon that patent, like tgey have done with many others before it. Apple's policy is to use it if it's useful, without licensing and then whoever they stole it from can sue them and meanwhile they'll try to create their own version of it to replace it. Good. Take those garbage off the market. Qualcomm is going for the juggler. This made me think of rhe seen in theast Godzilla movie, when the monster was about to grab the guy on the boat, and all of a sudden she felt a tug and Godzilla was rhere. When the ITC saw Apple was guilty of infringement, they refuse to do anything about it. And then out the blue China says, BOOM! Apple is gonna go down like WTC 7. Can only see a few burning fires, you know; things like slowing mac sales, iPad sales slowing, iPhone sales slowing, apple trying to replace those sales, by making you lay for things they use to include in the box like the dongle, ir making you buy things that should be in the box, like a fast charger. Raising the cost and not giving, while people can see we are getting things and more and they are getting jealous and outraged by it. Throw the frikkin book at them. Apple you signed a contract. There are other options for modems even if they aren't good ones. But you signed a contract knowing the price because the rest were not good enough. Now you dont wanna pay. Well you'reosimg money. As everyone knows, as easy as money can come is as easy as money can go. And it doesn't seem Apple has a backup plan if they lose this battle. Apple picked a fight trying ro be a bully and now this bully could be about to get their uts whilpped. Exactly what you deserve!!!!! Apple flying that Samsung stole from them, while they are Robin Hood in stealing from the rich and enriching themselves with it. Karma!!! !